Lamb and wild boar are the perfect combination of quality: highly digestible, usable proteins rich in natural nutrients. 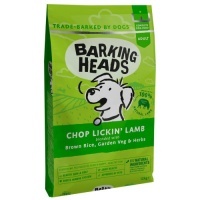 The lamb in Carnilove dog food is an excellent source of trace elements such as selenium, iron, zinc, B vitamins, and unsaturated fats, while wild boar is packed with proteins yet contains little fat, making it ideal for maintaining optimum physical condition without the risk of increased blood cholesterol levels. wild boar meat meal (30%); free-range lamb meat meal (25%); yellow peas (20%); chicken fat (preserved with tocopherols; 10%); chicken liver (3%); apples (3%); tapioca starch (3%); salmon oil (2%); carrots (1%); flaxseed (1%); chickpeas (1%); hydrolyzed crustacean shells (a source of glucosamine; 0;026%); cartilage extract (a source of chondroitin; 0;016%); brewer´s yeast (a source of mannan-oligosaccharides; 0;015%); chicory root (a source of fructo-oligosaccharides; 0;01%); yucca schidigera (0;01%); algae (0;01%); psyllium (0;01%); thyme (0;01%); rosemary (0;01%); orega – no (0;01%); cranberries (0;0008%); blueberries (0;0008%); raspberries (0;0008%). Carnilove, I can't rate it high enough, one of my Catalan Sheepdogs became a very fussy eater, I tried her on numerous top grade croquetes, but she refused to eat anything, after a full examination & ultersounds she was found fit & healthy & no underlying health issues. Then I came across Carnilove this was the turning point, she absoulutly loves it, clean bowl every time & she has been on Carnilove Lamb & Wildboar or Reindeer for the past 2 years & we have never looked back, so much so All my dogs are now on Carnilove. No upset tummies. Great product.